We are a unique non-profit cooperative theater for children and teens in grades K - 12. Our mission is to foster creativity and self-confidence in our actors as they develop and improve their skills in various areas of the performing arts. The A.C.T. is proud to offer a theater enrichment program. As part of the program, The A.C.T. will organize outings to local shows presented by the Acton Boxborough Regional Schools and to family-friendly Broadway shows at the Hanover Theatre in Worcester, MA. 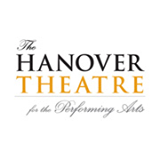 As a proud member of the Hanover Theatre's Franklin Square Society, The A.C.T. is also thrilled to offer cast families the ability to purchase discounted premier tickets to all shows and events in their 2018/2019 season!